How would you describe your understanding of art education? In which context are you working as an art educator? Why mediate (contemporary) art? How important is art education and mediation for a museum / an institution? How do you cow conceive a public program for a biennial? 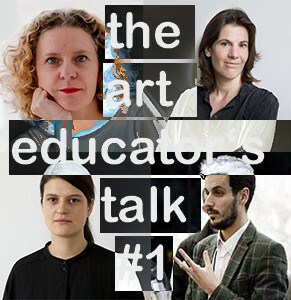 These are only a few questions we’d like to discuss with María Acaso (Pédagogias Invisibles, Madrid), Konstanze Schütze (agency art education, store contemporary, Berlin & Dresden), Jordi Ferreiro (MACBA Barcelona) and Gila Kolb (The Art Educator’s Talk) and maybe some special guests. The Art Educator’s Talk is a trilingual blog on art education. With this live-talk, we would like to address art educators who are looking for inspiration and exchange between colleagues, students who are interested in getting more information about the profession of an art lecturer, artists and curators who want to learn more about mediating art, academics and YOU. 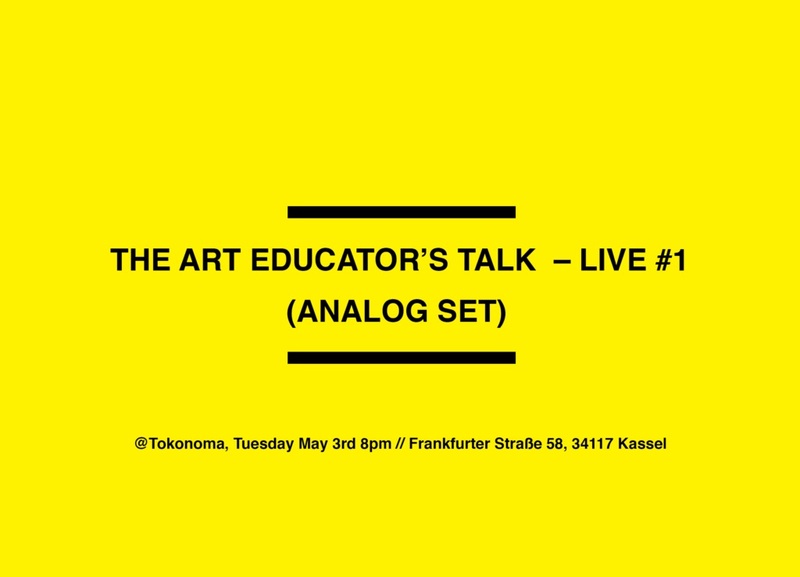 This entry was posted in collaborative, Critique, Curatorial practice, documenta, education, Empfohlen, Kassel, Kunstpädagogik, Kunstvermittlung, Madrid, Save the date, The Art Educator's Talk on 24.04.2016 by aligblok. This entry was posted in city, Curatorial practice, education, institution, Madrid, Share, space and tagged Space on 17.12.2015 by aligblok. October 30th, an exhibition with the title “ni arte, ni educatión” (neither art, nor education) will open its doors at Matadero, Madrid. The exhibition proposes different activities: it is about research, the city, diversity, disobeying…it´s a contact zone between the two discourses: Art and education. It is incited by the collectives “pédagogicas invisibles” and “Grupo de pensamiento de Educación Disruptiva de Matadero Madrid (GED)“.There will be 21 projects realized in difference forms. If you happen to be in Madrid between October 30th 2015 and January 30th 2016: It´s a recommendation! 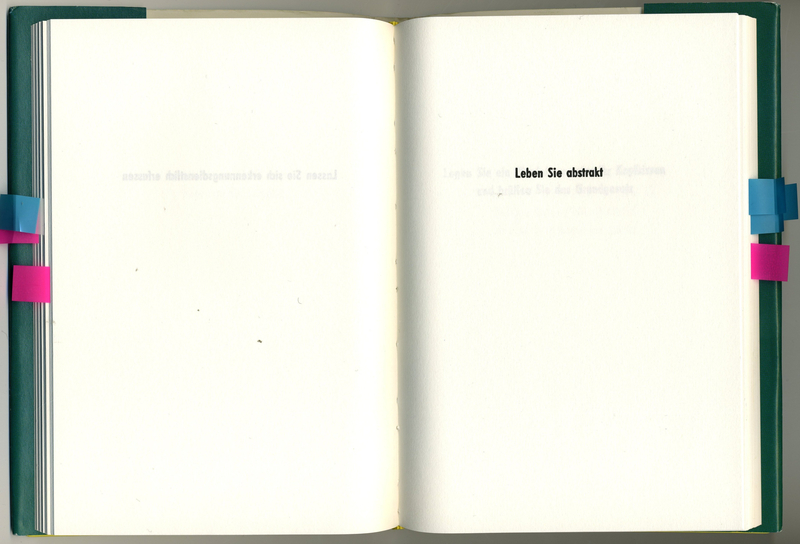 Torsten Meyer and me are going to have a talk there (PDF) with Maria Acaso on What´s Next? Art Education, december 11th, 7 pm. This entry was posted in Ausstellung, collaborative, Curatorial practice, education, Empfohlen, Exhibition, institution, Kunst, Kunstvermittlung, Madrid, Save the date on 26.10.2015 by aligblok. Eingeladen hatten mich Konstanze Schütze und Nelly Pistorius. Leider konnte ich die Tischrede an diesem Tag nicht persönlich halten. Ich schickte sie per Mail nach Dresden. Hier nun die leicht überarbeitete Version. This entry was posted in Ausstellung, Critique, Curatorial practice, education, Fragen, institution, Kunstvermittlung, Tischrede, WIR and tagged Statement, Statements on 18.08.2015 by aligblok. This weekend (17.07. – 18.07.2015), a conference on documenta exhibitions (1997-2017) took place in Kassel. Here are some notes from the conference. The conference was part of the documenta 60 years festivity program. Five documenta Exhibitions were partially presented and discussed. Each documenta had about 3 hours with their curator (Catrine David (d1), Okwui Enwezor (d11), Roger Buergel & Ruth Noack (d12), Carolyn Christov-Bakargiev (d13) and Adam Szymcyck (d14, upcoming)). This entry was posted in Ausstellung, collaborative, conference, Critique, Curatorial practice, documenta, education, Exhibition, Fragen, institution, Kassel, Kunst, Tagung and tagged collective, conference, documenta, education on 20.07.2015 by aligblok. “Die öffentliche Konferenz am 11. Juli 2014 bringt KünstlerInnen, KritikerInnen, KunsthistorikerInnen, KuratorInnen und Biennale-Verantwortliche zusammen, die im Hinblick auf periodische Kunstausstellungen für die Formulierung wichtiger Fragestellungen und Entwicklungen verantwortlich sind”. This entry was posted in Ausstellung, collaborative, conference, Critique, Curatorial practice, Kunst, Tagung on 08.07.2014 by aligblok.